I have been hearing about several natural remedies for joint support for quite some time now, and when a friend who attends physical therapy with me told me how much the Glucosamine and Chondroitin she takes has helped her, I had to try it. 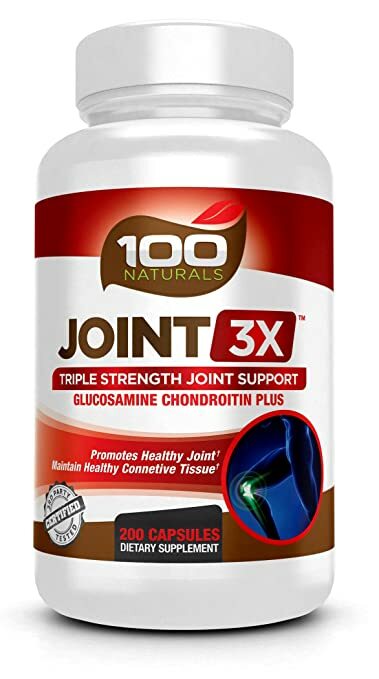 I was very happy to try the 100 Naturals Joint 3X Triplex Joint Supplement with Glucosamine, Chondroitin, and MSM and so far I have been quite pleased with it. I have had problems with my joints for a long time, and never expected this to be a miracle cure, but am thankful for what relief it has given me. I am still in pain, but feel that my knees are stronger than they were before I began taking this supplement. Of course it won't cure all of my problems, but is helping me with the pain and discomfort in my knees.